Lulupu - The Craft Lounge: Happy World Card Making Day! And here is your chance to win yourself a exclusive card making kit at our Facebook Page. Just CLICK HERE and participate! 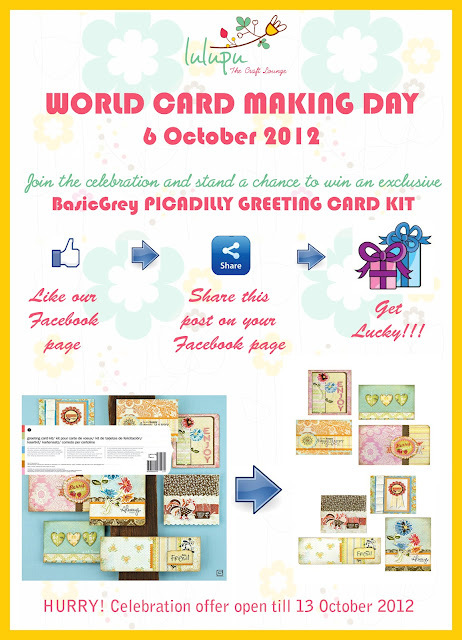 Lovely Giveaway....Happy Card Making Day...!! have done all the conditions....!! wow nice giveaway. love it.thank you for chance to win.